The somatic system is the part of the peripheral nervous system that is responsible for carrying motor and sensory information both to and from the central nervous system. This system is made up of nerves that connect to the skin, sensory organs, and all skeletal muscles. The system is responsible for nearly all voluntary muscle movements as well as for processing sensory information that arrives via external stimuli including hearing, touch, and sight. Whether you want to learn ballet, throw a ball, or go for a jog, the somatic nervous system plays a vital role in initiating and controlling the movements of your body. How exactly does this complex system work? Let’s start by taking a closer look at the key parts of the somatic nervous system. The term "somatic nervous system" is itself drawn from the Greek word soma, which means "body," which is appropriate considering it is this system that transmits the information to and from the CNS to the rest of the body. Sensory neurons, also known as afferent neurons, are responsible for carrying information from the nerves to the central nervous system. Motor neurons, also known as efferent neurons, are responsible for carrying information from the brain and spinal cord to muscle fibers throughout the body. 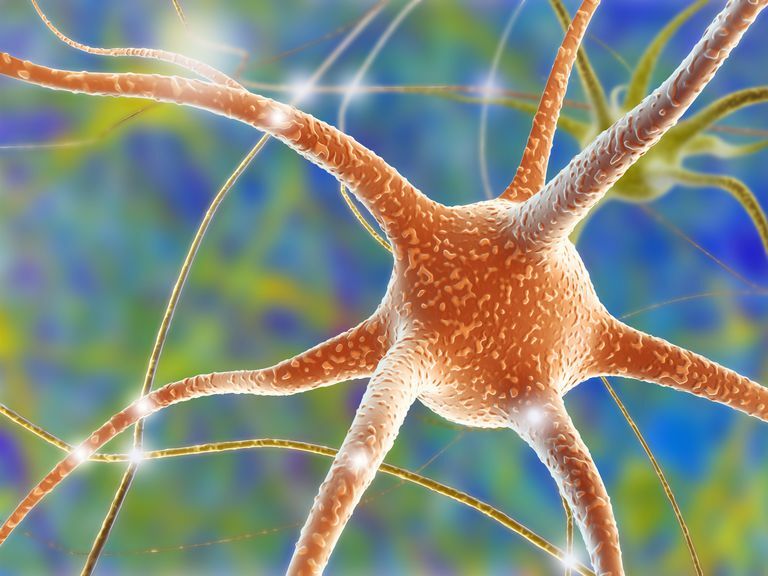 The neurons that make up the somatic nervous system project outwards from the central nervous system and connect directly to the muscles of the body, and carry signals from muscles and sensory organs to the central nervous system. The body of the neuron is located in the CNS, and the axon then projects and terminates in the skin, sense organs, or muscles. In addition to controlling voluntary muscles movements, the somatic nervous system is also associated with involuntary movements known as reflex arcs. During a reflex arc, muscles move involuntarily without input from the brain. This occurs when a nerve pathway connects directly to the spinal cord. Some examples of reflex arcs include jerking your hand back after accidentally touching a hot pan or an involuntary knee jerk when your doctor taps on your knee. You don’t have to think about doing these things. Sensory nerves carry signals to the spinal cord, often connect with interneurons in the spine, and then immediately transmit signals down the motor neurons to the muscles that triggered the reflex. Reflex arcs that impact the organs are called autonomic reflex arcs while those that affect the muscles are referred to as somatic reflex arcs. The primary function of the somatic nervous system is to connect the central nervous system to the body's muscles and control voluntary movements and reflex arcs. Information taken in by sensory systems is transmitted to the central nervous system. The CNS then sends signals via the nerve networks of the somatic system to the muscles and organs. For example, imagine that you are out for a jog in the park one brisk winter morning. As you run, you spot a patch of slick looking ice on the path ahead. Your visual system perceives the icy patch and relays this information to your brain. Your brain then sends signals to engage your muscles to take action. Thanks to your somatic system, you are able to turn your body and move to a different part of the path, successfully avoid the icy patch and prevent a possibly dangerous fall on the hard pavement. Ganong, W. F. Review of Medical Physiology. New York: McGraw-Hill Publishing; 2015. Somatic nervous system. Dorland's Illustrated Medical Dictionary. Merck & Co., Inc; 2011.